My bag’s not yet packed but tickets are booked and I’m ready to go to the inaugural London Short Story Festival for a day of literary treats. Launched by Spread the Word and Waterstones Piccadilly, the festival showcases some of the most exciting talents in the cosmology of condensed prose. Taking place over the weekend of June 20th – 22nd it’s the perfect midsummer night’s dream list of inspiring events and outstanding writers such as M.J Hyland, Jackie Kay, A.L. Kennedy, Alison Moore and Helen Simpson. I’m doing the Saturday so it’ll be an intensive day of six events, kicking off with ‘The Weird and Wonderful World of Short Stories’, a conversation between Dan Powell, Robert Shearman and Adam Marek, chaired by Tania Hershman. I owe a particular debt of gratitude to Adam whose stories, recently broadcast on Radio 4, kept me entertained and sane during hours of mindless admin. And ‘What is it about the Irish?’ – at this event the cream of the green crop discuss why the Irish are considered the best short story writers in the world. With my Welsh heritage, I battle with this galling but inescapable ‘truth’ as once more I turn to Joyce, Trevor and currently Claire Keegan. Claire is a luminary in the world of literary short stories so I’m looking forward to hearing her in discussion with Paul Mc Veigh the Festival Director, blogger extraordinaire and everyone’s friend on Twitter. The weekend promises to be a dynamic mix of workshops, author readings and panel events as well as the launch of a new competition – the London Short Story Prize. Another fantastic opportunity for writers to hone their skills and possibly achieve publication – one of the main reasons we founded the Bath Short Story Award last year. So buy your tickets now –the workshops are selling out fast. Jude from the BSSA team is also planning to come and we hope we’ll meet as many of you as possible – old friends and new from the writing community. Congratulations to Anna Schlesinger, one of our BSSA team. She has just published her novel ‘Paradise and Back’ on Lulu. The novel tells the fascinating story of Josie, brought up in wartime Thames Ditton and part of bohemian London in the 1950s and 1960s. Wanting to escape from her demons, Josie travels to Samoa with her partner and young sons. But paradise is not all it seems. A gripping read. Buy now for £9.99 from Amazon on the following link. 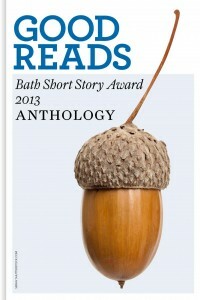 We are very excited about our on-line anthology of twelve stories from the 2013 Bath Short Story Award. Published by Hearst under their Good Reads imprint and edited by Emma Dally, Group Director of Books at Hearst Magazines UK it is available to buy for £3.99 from Amazon, Kobo and Apple. Links to these sites on our home page. The anthology is promoted by Good Housekeeping Magazine (link below). We are grateful to Caroline Ambrose, one of our original team, who has now left BSSA to run the Bath Novel Award www.bathnovelaward.co.uk. Caroline made the initial contact with Emma Dally and we are very pleased it has had such a brilliant result. There’s details of all our authors on the Good Housekeeping site and a great blog post about writing by Eamon Griffin, who wrote ‘Anna’, one of the published stories. Read what she has to say about writing short stories on our INTERVIEWS Page. This entry was posted in News and tagged Old news on July 20, 2014 by Editor.